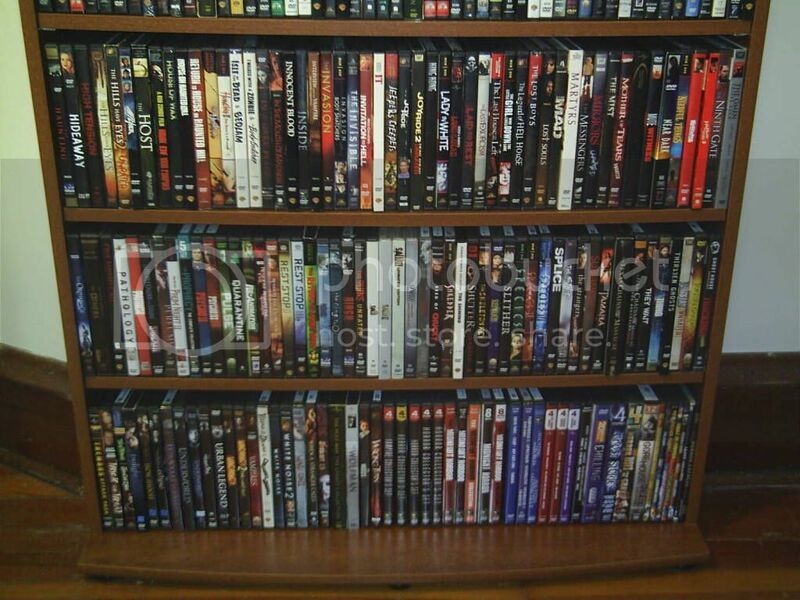 I'm sure you've wanted to see my horror DVD collection for some time. As much as I would love to be able to show it all to you, it would actually be pretty boring to look at. 75% of my DVDs no longer have their cases or artwork anymore and most of my collection now lives in various Case Logic (and Case Logic style) folders. That's what happens when you move from one country to another. But, because I mistakenly thought it would be an easy series of photo posts to make, I have decided to show you my collection of Region 1 horror DVDs which I have accumulated in the last three years (and possibly some of the other genres and regions I have eventually too). I have over 3000 movies in total (although not on 3000 separate discs and not all of them are horror). This series of blog posts will probably only cover a tenth of my entire DVD collection but that is more than enough work in itself. 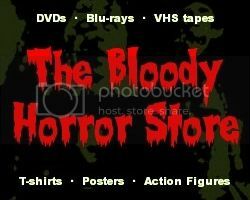 Also, since this is a horror blog, it's really only the horror DVDs which you should be interested in anyway. If you ever wondered how difficult it could be to photograph just one set of DVD shelves, well, after over 40 attempts, this was the best I could come up with. Click on the pictures to see them bigger but, be warned, they still didn't turn out well enough to read all the titles. 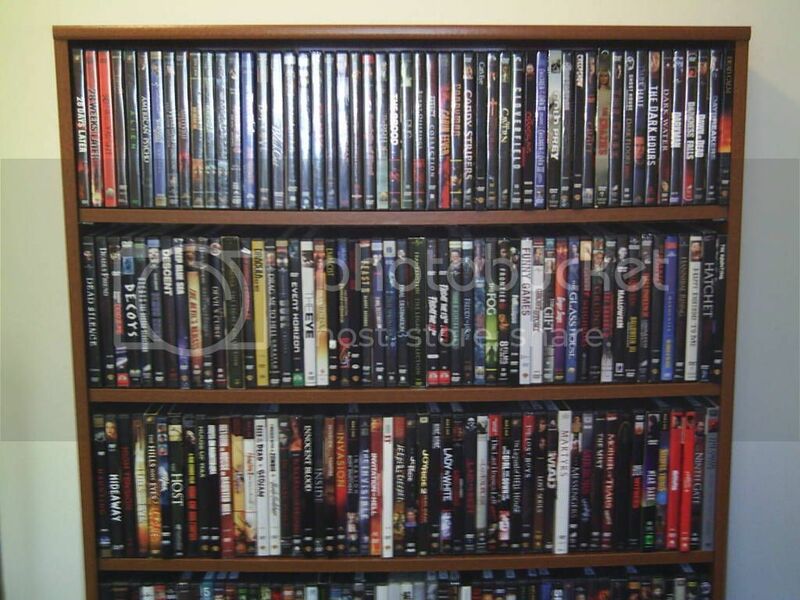 In further posts, I will go through the shelves one by one and tell you more about the DVDs, where I got them, and why I got them. I'll also try to make it as informative and as entertaining as possible. I'm hoping that you will be surprised by what I've bought and even more surprised by what I didn't buy.